80a 8 716 104 457 0 Burner Injector  Natural Gas Stereomatic, Type 7, 5.4mm dia. 80b 8 716 104 458 0 Burner Injector  Propane Stereomatic, Type 7, 3.4mm dia. 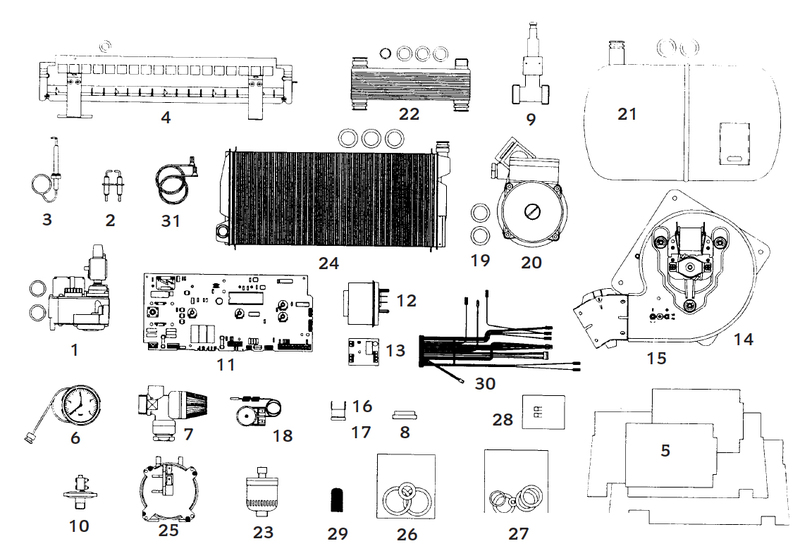 Worcester Bosch 35 CDi replacement boiler parts including exploded part diagram and parts lists.